The new solid state RACON has been developed by Pharos Marine Automatic Power and works seamlessly with traditional and solid state radar solutions, and does not require the solid state radar to change its transmission mode. The Phalcon-NT RACON “learns” its environment and responds accordingly, saving energy. Conventional RACON solutions have been around for many years, they are highly valued by mariners but changes in radar technology may limit their effectiveness. RACONs are designed to work with conventional radar systems that use short high power and fixed frequency transmissions from magnetrons and vacuum tube based sources. These conventional radar systems are now being replaced by solid state transmitters that have much longer operating lives and do not require 1000’s of volts to initiate them. Conventional RACONs will potentially need to be replaced as they will not automatically be triggered, or will do but at a significantly reduced rate by a solid state radar. The new solid state Phalcon-NT RACON is now available and have lower power from ten to a few hundred watts. 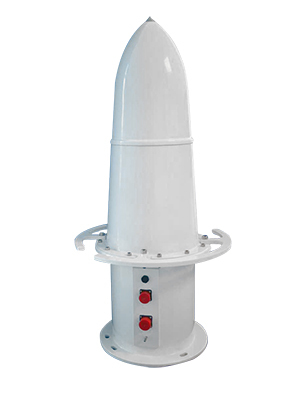 This solid state radar contains a non-lifed radar source that does not require repetitive servicing, and the voltages required to generate the radar signal are low and safe. Solid state radars now have swept frequencies and numerous transmissions pulse widths which allows the radar to more effectively pull real targets from noisy responses which conventional RACONs will struggle with.